An innovator in the area of adopting educational technology, Unitec has made a strategic decision to offer more learning online, and to move to more collaborative, active learning teaching practices. This is an important strategy in the effort to maintain their position of leadership and remain competitive amongst peer institutions. 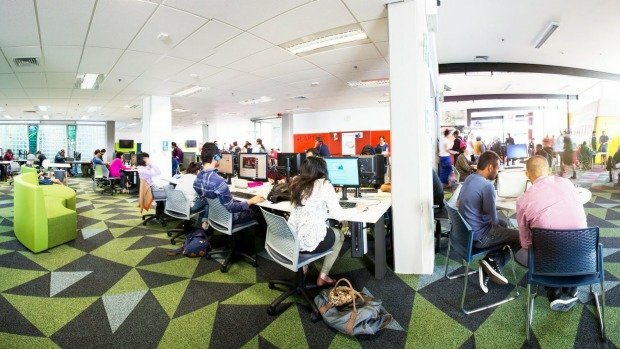 To help realize this vision, Unitec has turned to the Echo360 active learning platform to make more course content available online, often through a flipped classroom learning model. This effort coincides with the development of new learning spaces designed specifically to foster greater collaboration between students and instructors and encourage greater engagement. The tools within Echo360 – course capture, student engagement, real-time learner analytics and reporting, all support this effort. The flipped learning model has tremendous application for vocational and practical education. Students can watch a video prior to class – often a practical demonstration – and then apply and perform the activity in class under the supervision of a qualified instructor. Echo360 helps students engage with material prior to class as well as allowing students to ask questions that can be answered by their instructor or even their peers. Students can use Echo360 to take notes during class and then review classroom captures and notes on their own after class. Throughout the process, instructors gain insights into what students are doing, what they are learning, whether or not there are specific areas of confusion with the course content. This information is provided through real-time Echo360 learner analytics, which captures student learning moments and activities. Video and presentation capture within Computing / Computer Sciences. Flipped classes in the Performing and Screen Arts courses. Using Echo360 to train students in the use of other eLearning platforms. Our webinar Achieving Active Learning in Experiential Learning Environments provides a roadmap for how TAFE / VET institutions can meet the needs of kinesthetic learners who are receiving practical instruction and vocational training. The webinar outlines how instructors from Unitec and Sydney TAFE use Echo360 learner analytics to assess student learning and how they employ pedagogical best practices to create collaborative, interactive learning environments both online and within in the classroom.